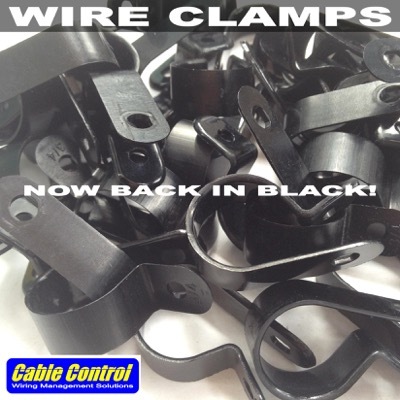 Cable Control's high quality Nylon Wire Clamps make cable management and wire bundling easy. Choose from 3 sizes to perfectly match your wire bundle size. 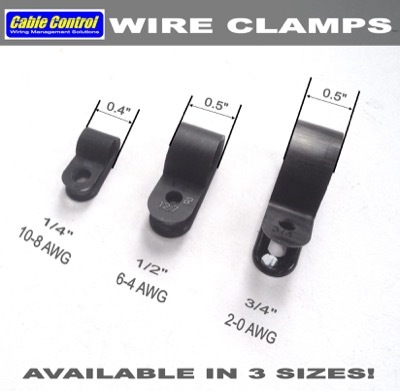 These are screw mountable clamps to make sure your wire bundles are secure. 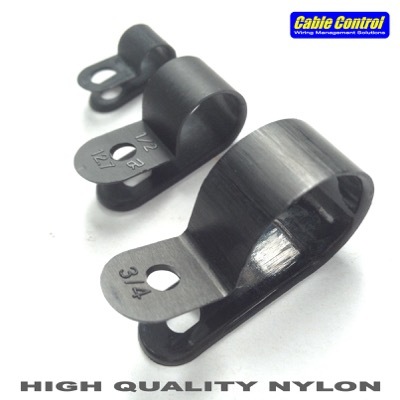 Comes in black color, will work for both indoor and outdoor applications. Accepts #6 to #8 screws (not included). 1/4" PhP 80.00/ 20 pcs.